Silver Spring, MD; December 11, 2018 – Acorn TV, North America’s most popular streaming service for British and international television, is now available in thirty new countries, including Australia, New Zealand, India, South Africa, ten European countries, more South American countries, as well as ten Caribbean countries. 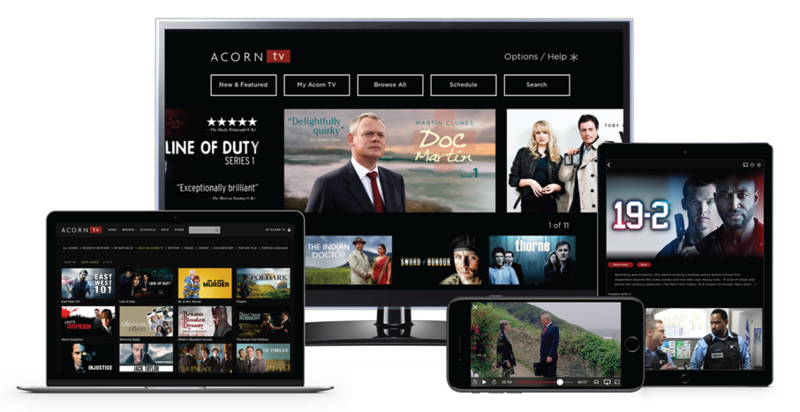 Consumers can now visit acorn.tv to subscribe and watch Acorn TV, or easily access Acorn TV via apps on Apple TV, Android, iPhone, iPads, and Roku streaming players. The programs will be in English-language with English and Spanish subtitles available. The Acorn TV streaming service is available for $4.99 USD per month. Launched in the U.S. and Canada in 2011 and quickly becoming the leader in North America for premium entertainment from British and international television, Acorn TV expanded internationally in June 2018 to twelve Latin American countries and continues to rapidly expand worldwide. Called “Netflix for the Anglophile” by NPR and featuring “the most robust, reliable selection of European, British, Canadian and Australian shows” by The New York Times, Acorn TV has quickly become one of the top streaming services and is commercial free. Acorn TV curates the very best in international television and exclusively premieres several new international series and/or seasons every month from Great Britain, Australia, New Zealand, Ireland, Canada, and other European countries.